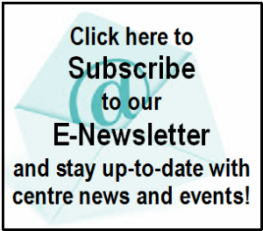 Do you want to give your health and fitness a boost, but are unsure where to go? Variety! Try a different activity every day! What is Healthways all about? Healthways provides you with a variety of exercise options so you can choose what works best for you. Ultimately staying fit and healthy is about keeping up regular exercise, and a big part of that is adding variety to your routine. So, we have a large range of facilities and classes. You’re sure to find something you enjoy. Healthways is not about posing and talking about how beautiful we are. Every day we help every-day people stay fit, healthy and strong. It’s okay if you turn up in t-shirt and shorts without any make-up on. It’s even better if you leave feeling like you’ve achieved something. There are 4 main areas that clients can use as part of the fitness facilities: The Gymnasium is fully equipped with Free weights, Machine Weights, Swiss balls, Cardio Studio (incl. 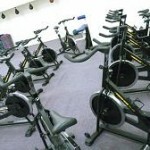 Treadmills, Cross-trainers, Upright bikes, Recumbent bikes, and Rowers), and Air-conditioning. We also have personal trainers available to help you achieve your fitness goals. The Circuit Room contains Hydraulic Weight Machines, Spinning Bicycles, Barbell & Hand weights, and Boxercise equipment (incl. Speed-balls, Floor-to-Ceiling ball, Hanging punching bag, Skipping ropes, Focus mitts & Gloves). 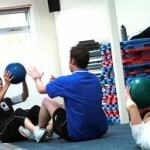 All equipment can be used as part of a gym program, and also in a class situation during ‘Circuit’ classes. 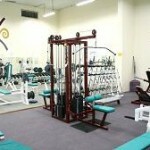 The Aerobics Room has a surround sound system, is air-conditioned, and all equipment for classes is provided (incl. Steps, Hand weights, Barbell weights, and Cushioned mats for floor work). The heated indoor Pool is 0.9-1.2m deep, 18m long, and 32ºC. The pool is available for public swimming (timetable is available from reception), and also for water-based group exercise classes. . All gym facilities & classes can be used on a casual ‘pay-as-you-go’ basis, and for frequent visitors there are 10 visit card and membership options. For more information on Personal Training CLICK HERE. Come in and get started today.